It's been awhile since I last read a Jasinda Wilder-penned novel, and if there was ever a reminder as to why I fell in love with her writing a few years ago, I'm glad it was this one. 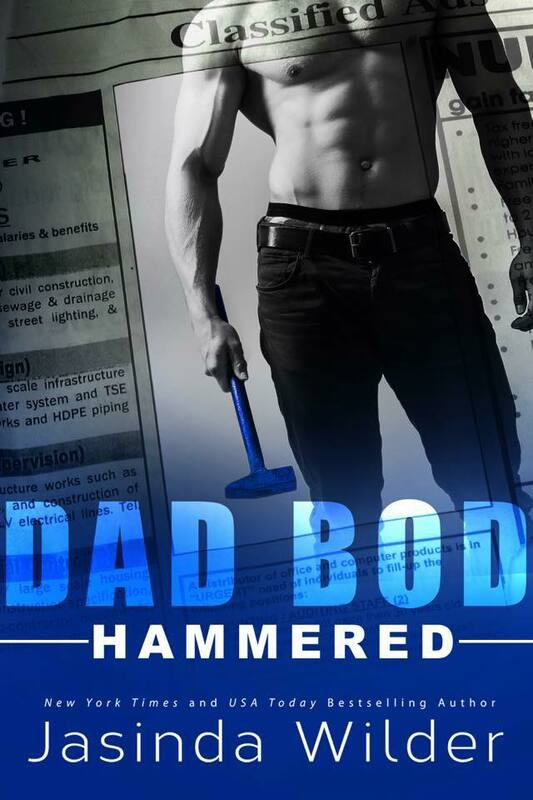 Hammered is Wilder's newest release and the first in her new Dad Bod series, which is about a group of men offering their services--handyman services, pervs!--and one of their customers just happens to be forty-year-old divorcée Imogen Irving. Not only did her husband cheat on her with more than one woman, he had no qualms whatsoever emptying their joint bank account--an account that was supposed to hold the money Imogen had been setting aside for the home makeover they'd been planning but was spent on her then-husband's gift shopping and none of those gifts were for her. 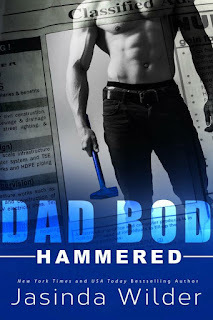 She may not have enough money for a major renovation, but a broken AC and nailed down windows have her calling Dad Bod. The summer heat is getting to Imogen but there's a whole different kind of heat going on once Jesse O'Neill shows up. The man is, indeed, handy, but Imogen can't help but wonder what it would be like if forty-four-year-old Jesse got all handsy. Learn more about Jasinda Wilder. Purchase Hammered on Amazon | B&N | iBooks | Kobo.